Luke Huntley, a snake catcher in Queensland, East Australia, had to remove snakes from people’s bathrooms, as the country experiences a record-setting heat wave. 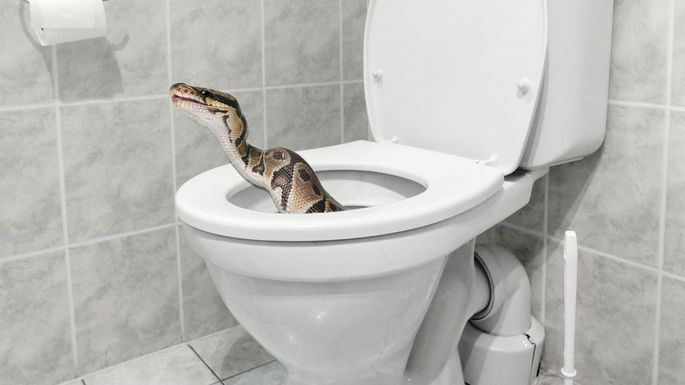 Last week, he removed a seven-foot python that had slithered into an open door and climbed into the shower not only to escape the heat but also to find water. Days earlier, he pulled a small tree snake that had coiled in another homeowner’s toilet bowl. Also recently, an unsuspecting woman went into a dimly lit bathroom of a Brisbane home, not bothering to look into the toilet bowl. After she sat down, she felt a “tap” on her skin followed by a sharp pain, Helen Richards told the Australian Broadcasting Corp. She looked down and saw a python looking up at her. As a polar vortex hits the US Midwest, the extreme opposite is happening in Australia. The heat wave has parched landscapes, triggered damaging wildfires, pushed demand on the power grid to the brink and toppled significant records, Capital Weather Gang’s Angela Fritz wrote last week. Temperatures soared to 116 degrees on Thursday in Adelaide, South Australia. That’s the highest temperature for any capital in Australia, according to Fritz. In the southeastern corner of the country, overnight temperatures were as high as 96 degrees – the warmest overnight lows for January anywhere in the world. Australia’s climate has warmed by just over 33 degrees since 1910, leading to more frequent heat waves and severe drought conditions, according to the Bureau of Meteorology. Eight of Australia’s top-10 warmest years on record have happened in the past 13 years.